A brand new version of Massacre kicks off as new stars debut and a tournament to crown a new Television Champion commences! XWA Massacre: Brian Hearthstone vs. Austin Carter- DOUBLE DEBUT! XWA Massacre MAIN EVENT: DGX vs. Mark Storey- SINGLES MATCH! XWA Massacre: Adam Fenric vs. LJ Summers- TV TITLE QUALIFIER! 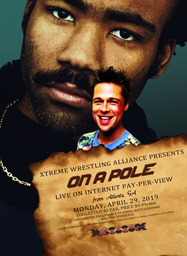 XWA Massacre: Drake Dysfunction vs. Lx-Tim- TV TITLE QUALIFIER! A New Beginning and A New Face.